Former Kickstarter sensation Ouya is making a comeback... at least, in spirit. 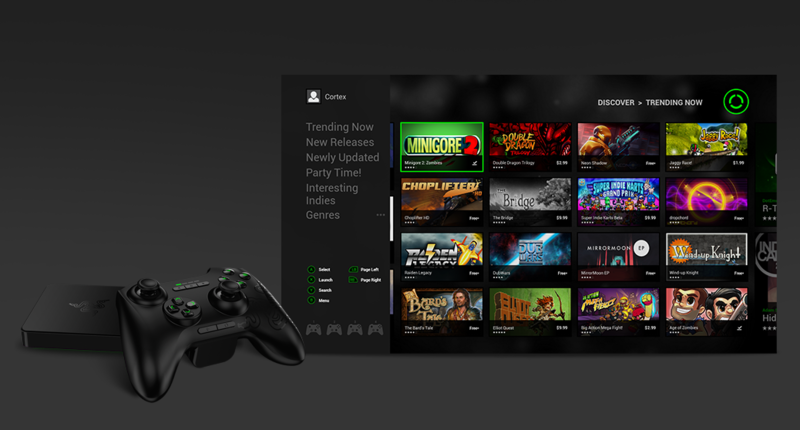 Accessory specialist Razer has launched a curated gaming ecosystem called Cortex for its Forge TV platform that's populated with content it picked up from Ouya. Cortex (not to be confused with the company's PC software by the same name) is available through a software update for the Forge TV. As Android Police points out, it's essentially a rebranded Ouya store as it offers up the same content that was available before (with plans to add more games in the near future). The Cortex product page notes it uses what Razer calls its Z-Rank algorithm to assist with content discovery. Unfortunately, the Cortex store (like the Ouya store) runs parallel to the Google Play Store meaning content purchased in one doesn't transfer to the other. This isn't really a major concern right now as the Forge TV also offers access to Google Play but it could be limiting should Razer expand access to other platforms. Ouya was one of the first major Kickstarter success stories. Its campaign managed to raise nearly $8.6 million from 63,000+ backers. Although its future looked bright, Ouya had a hard time attracting developers and keeping gamers interested. A surge of me-too devices didn't help matters, either. Rumors persisted for months that Ouya was looking for a buyer and that's when Razer came knocking, purchasing the struggling Android console maker in July for an undisclosed sum. Razer hasn't yet said if it plans to expand access to other devices.